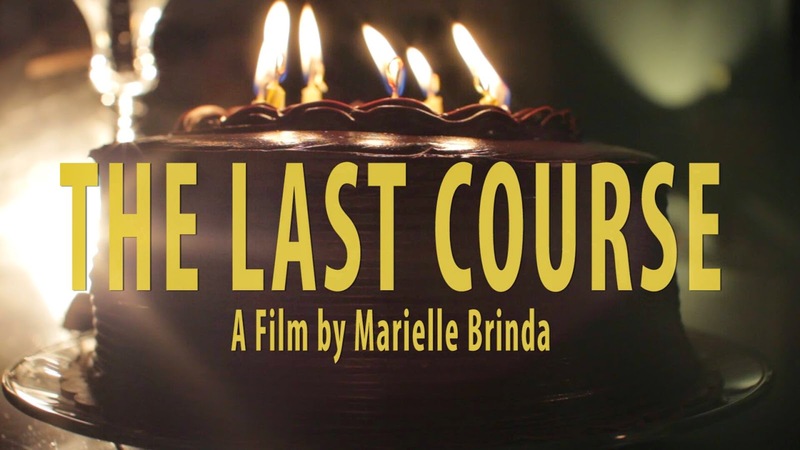 The Cleveland Movie Blog: Elyria filmmaker working on short film "The Last Course"
Elyria filmmaker working on short film "The Last Course"
Elyria native Marielle Brinda is making a movie and she needs your help! That's right, the former resident of the Cleveland area is setting out to establish herself as a writer / director with a short film project entitled, "The Last Course." So what is the movie about? "Well, it's a dark family drama with a new twist on the classic ghost story. You'll laugh. You'll cry. You may run to your room and blast David Bowie's, Scary Monsters and Super Creeps, but it will not disappoint," she says. Marielle is a budding director living in Los Angeles. She has been working in the film industry for the past seven years, mainly in post production as an assistant sound / picture editor, and is now focused on production and development. She has also produced and directed various narrative, corporate, reality, and documentary projects. She is a graduate of Columbia College Chicago's film program (class of 2007), is an avid writer (screenwriter), and has won various screenwriting awards through the years. Now, she wants to see her stories come to life. "With this project I hope to create a calling card of sorts. Something that best represents my style, capabilities, and creativity. I've put a lot of time into this project. We have some amazing acting and production talent on board so I'm really excited to make this film! I'd also love to use the short to pitch the project as a feature as well." Over eight hundred actors responded to the casting call for "The Last Course." Marielle and her team hope to announce the cast sometime this month. She can't say who has been cast yet, but they were fortunate enough to pick from an amazing talent pool of both well-known and emerging actors. She's been inspired by many great filmmakers over the years from Quentin Tarantino to John Hughes, Tim Burton, Jonathan Demme, and her favorite leading lady directors - Lynn Shelton, Penelope Spheeris, Sophia Coppola, and Gina Prince- Bythewood. "There are such amazing female directors out there. It's just more of a challenge to get our voices heard. But I'm up for the challenge and I can't wait to be a part of the female directing force." Marielle aims to raise $7,500 during the month of December through her Kickstarter campaign and a fundraising event in Elyria that her and her mother, Mayor Holly Brinda of Elyria, are hosting at the historic Monteith Hall on December 27th. Anyone from the community who is interested in the project is welcome and encouraged to attend. All proceeds from the event and the Kickstarter go towards making the film - and more specifically towards hiring essential crew, equipment rental, permits and location fees, and craft service costs. Production is scheduled for March and she hopes to have the film finished and released by August, 2015. "Filmmaking is a collaborative effort. It's also very rewarding. Already, I've met so many inspiring, creative, and supportive people who want to be a part of this or help in some way. We welcome anyone who has an interest in filmmaking or creative projects like this to come to the event. It's a great chance to meet new people and become a part of the team / network. Plus, there will be great music, food, beverages, and even a fun little contest that has to do with the plot of the film. Plus, there will be chances to win various prizes. But really, it will be a great opportunity to talk about the film, see family, friends, and meet new friends over the holidays." Links to the event, Facebook and Kickstarter pages are located below.